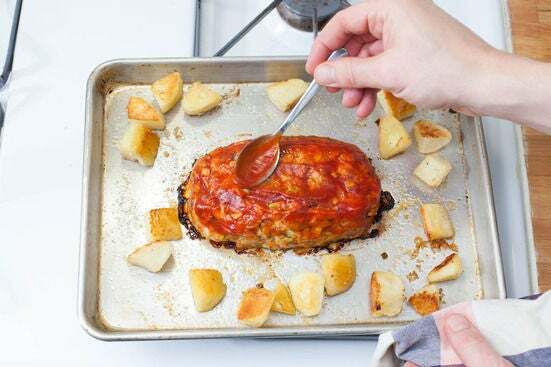 Meatloaf is a classic dish that is a staple in many American households that has a rich history dating back to the 5th century in Rome. Since then, meatloaf has made an appearance nearly everywhere, from low-budget home kitchens to high-end restaurants. In this version, the classic beef dish is made healthier with ground turkey and is served along roasted potatoes and wilted spinach. Enjoy! Preheat the oven to 425°F. Heat a medium pot of salted water to boiling on high heat. Peel and cut the potato into large pieces. Peel and mince the garlic. Peel and small dice the onion. Small dice the celery. Cut the lemon into quarters and remove the seeds. Once the water is boiling, add the potatoes and cook for 9 to 11 minutes, or until soft on the outside, but still firm on the inside. Drain thoroughly and return to the pot. 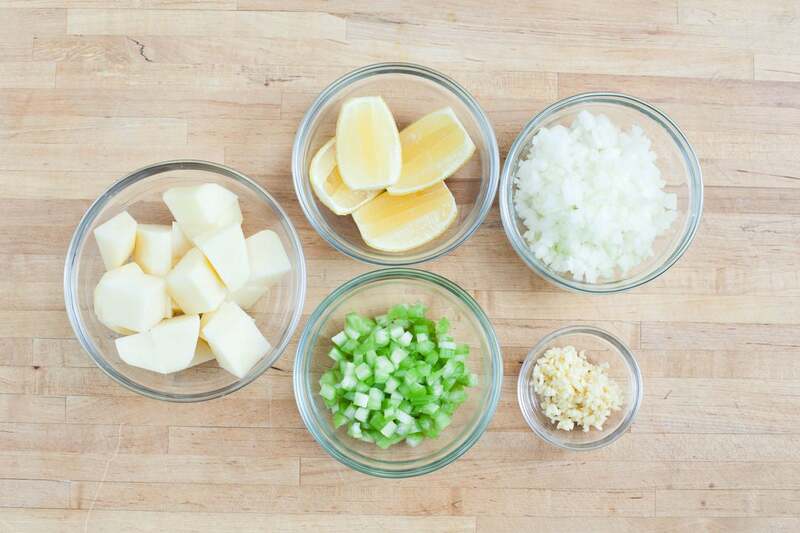 Toss the potatoes with a little olive oil and season with salt and pepper to taste. 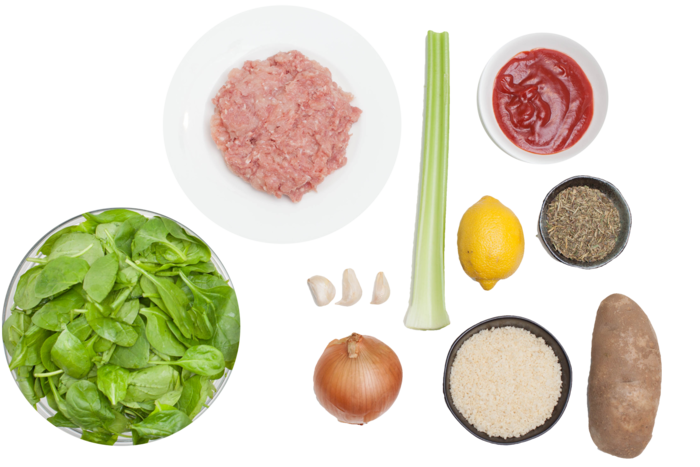 In a large bowl, combine the ground turkey, breadcrumbs, celery, Herbs de Provence, 1 tablespoon of olive oil and half of each of the onion, garlic and ketchup; season with salt and pepper. On a lightly greased sheet pan, form the mixture into a loaf. 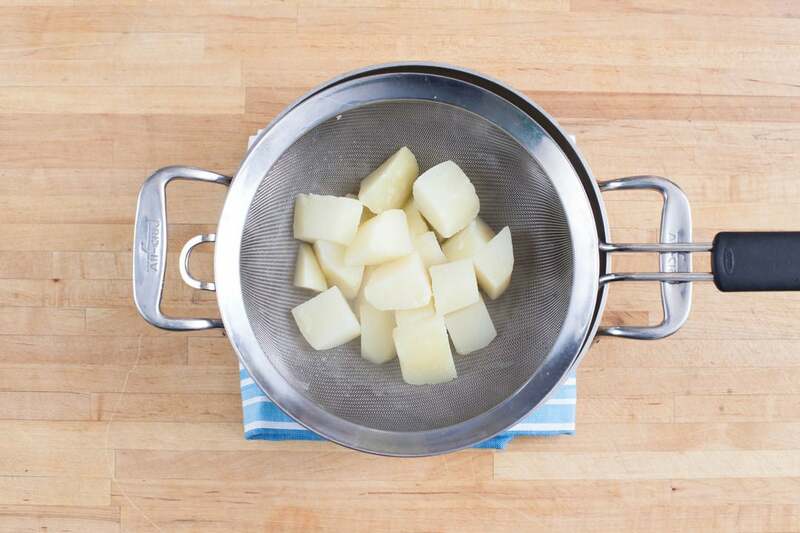 Place the cooked potatoes around the loaf and roast for 28 to 32 minutes, or until cooked through and a meat thermometer reads an internal temperature of 165°F. 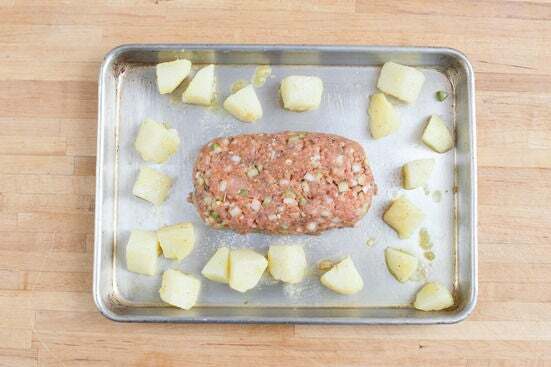 While the meatloaf rests, in a medium pan, heat a couple teaspoons of olive oil on medium until hot. 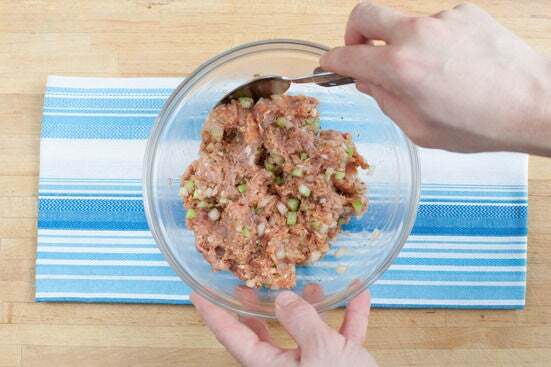 Add the remaining garlic and onion and cook 2 to 3 minutes, or until fragrant. 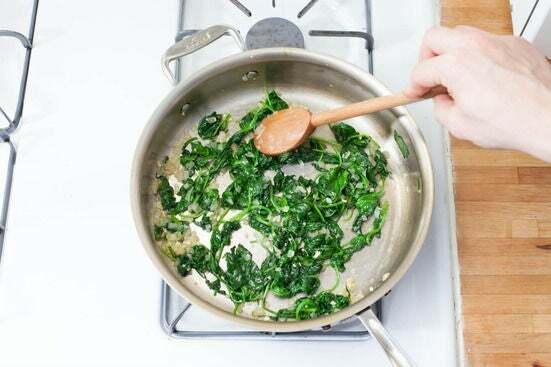 Add the spinach and cook an additional 2 to 3 minutes, or until the spinach starts to wilt. Remove from the heat and stir in the juice of 2 lemon wedges. 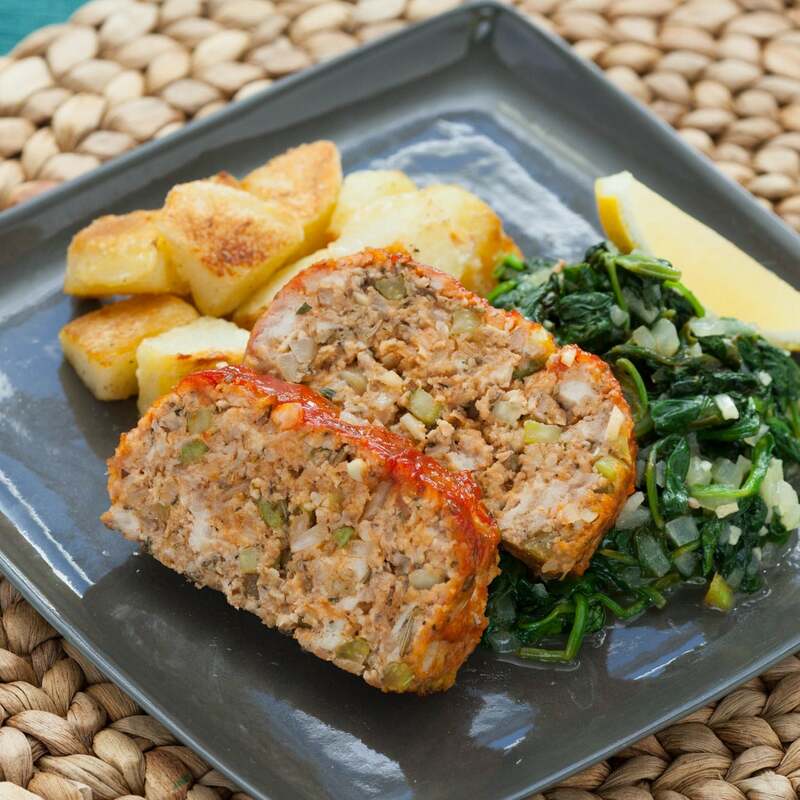 To plate your dish, divide the meatloaf, potatoes and spinach between 2 plates. Garnish with the remaining lemon wedges, if desired. Enjoy!